Battles of Antargis is a realtime strategy game. Battles of Antargis's main purpose lies on conquering not on building. 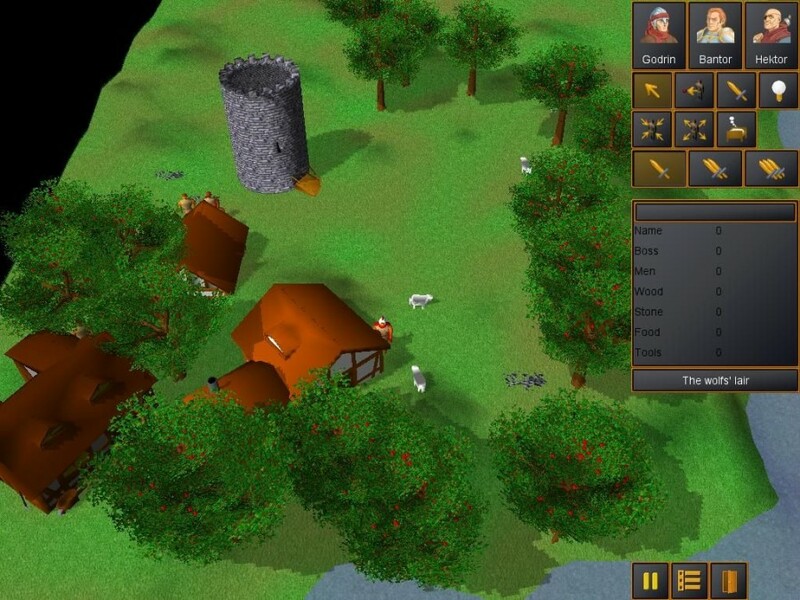 Battles Of Antargis is an open-source game with GPL license. You have one or more heroes that you can control. They can recruit troops and conquer the world. While doing this they have to gather food and weapons. All around are people and animals which populate the world. Unlike the typical Warcraft-like games, you have to get by with the existing population and resources. This is a first tech-demo, so please be patient. Apart from this we are searching for new artists and developers. the whole gamelogic is done in ruby, so it should be fairly easy to modify this game. 1) Install ruby, rake, libsdl, libsdl-sge, libsdl-image, libsdl-ttf, libsdl-mixer, opengl. You need the developer-packages of all these libraries/programs! 3) After this step no root-privileges are needed. This game is mostly written in Ruby (www.ruby-lang.org) and C++. It uses Rake (Ruby Make) as build system.